Gerber M-3000 Versatile Print-to-Cut Graphics Finishing - Arrow Systems, Inc.
Gerber M Series flatbed cutters are a powerful and versatile solution for automatic print-to-cut finishing of a wide spectrum of graphic outputs. 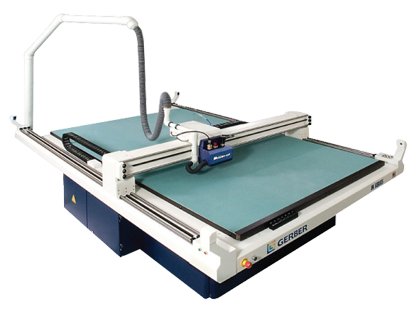 From routing aluminum composites, cutting inkjet-printed corrugated plastics and foamboard, to contour cutting and creasing digital offset graphics, the Gerber M Series can handle all your finishing needs accurately and 100% digitally, expanding customer offerings while maximizing the productivity and efficiency of your business. Cutting Speed: Up to 34"/sec.